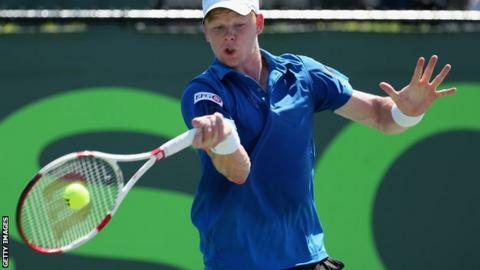 Former US Open finalist Greg Rusedski is to coach Britain's highest-ranked teenager Kyle Edmund. The ex-British number one has taken over from the LTA's Colin Beecher, who helped Edmund to a place just inside the world's top 300. Rusedski is at a Challenger tournament in Italy this week with the 19-year-old, who came through qualifying. The youngster defeated the number four seed Alijaz Bedene in the first round in Vericelli on Tuesday. LTA chief executive Michael Downey said: "I think this is great that this has happened. No disrespect to Colin Beecher, who did great work, but change sometimes should happen. "I think it reflects very highly that not only did Kyle look for a change but that Greg wanted to step up and take on this challenge."